After arriving in Yangon, travelers begin their journey to the Botataung and Sule Pagoda, which is built some 2,600 years ago by the Mon people. Then, there will be chance for tourist to view the gold-draped pagoda Shwedagon at sunset. 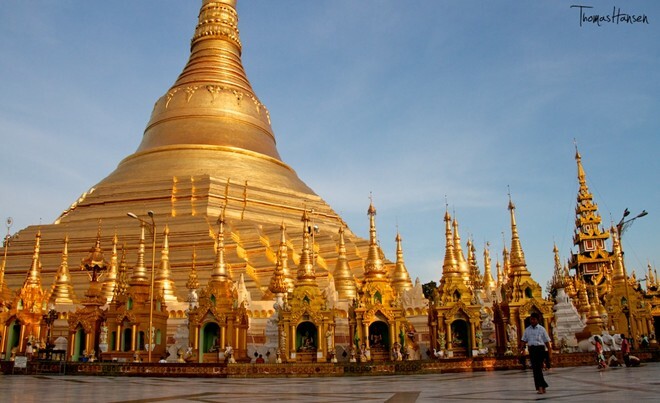 The pagoda is famous because of its prominent gold color stupas and its palpable sense of beauty. To the local, it is a place to learn, pray and to practice the Buddha teaching. 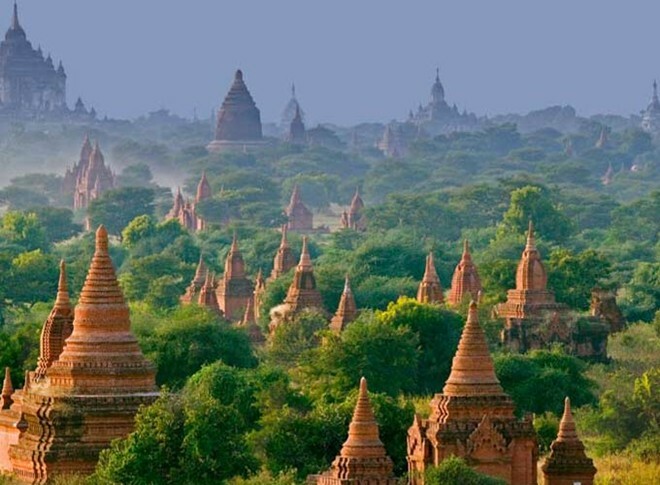 You should not miss this Buddhist Pagoda which is one of the best places in Myanmar. It is filled with history, giving you a true feeling of the devotion to Buddha. 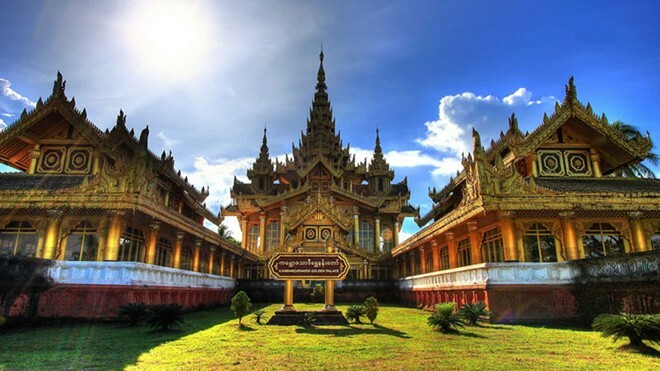 Kyaikhtiyo Pagoda, known as “Golden Rock”, is located in Mon State. 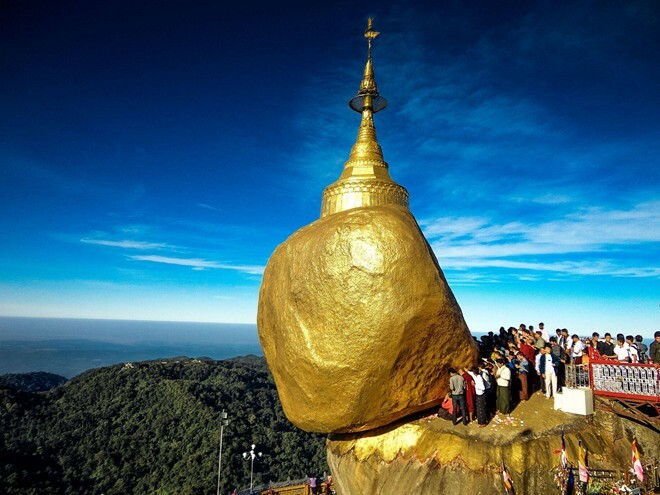 It is a really amazing spectacular sight with the massive golden boulder on top of the Kyaikhto Mountain. The hike uphill takes about 30 minutes. 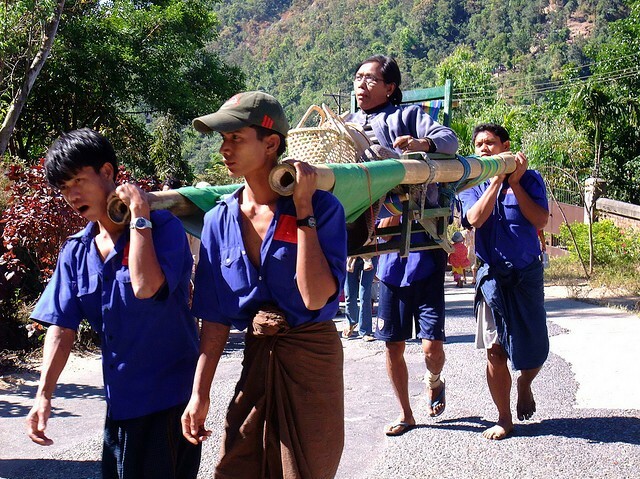 In the case you are afraid of climbing, you can hire porters to carry you up there, in a bamboo sedan chair. In the morning, you will gain another unique perspective of Bago when you travel to the Kanbawzathadi Palace. 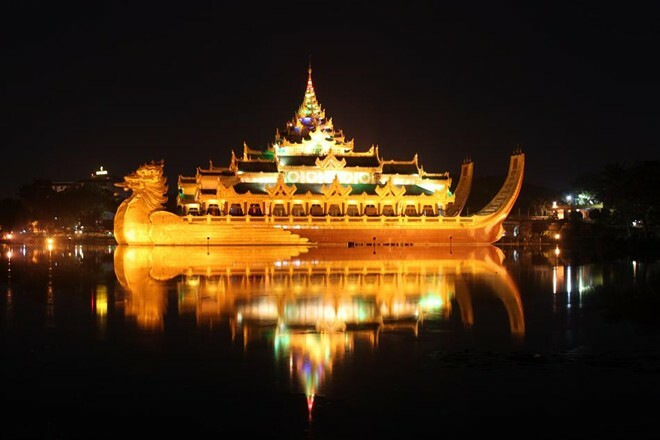 This very ornate golden palace was built in 1556 and gives a good impression of the wealth of the second Myanmar Empire. Inside of the palace is painted with brilliant gold, decorated with statues, sculptures and sophisticated structure. Visitors will be amazed by the luxury and royal life of the king at that time. Outside of the palace, there is very romantic scenery and it is also very ideal for picnics and wedding photoshoot. After reaching Bago, we will visit the 1000 years old Shwemawdaw Pagoda to see the laying Buddha statue – Shwe Tha lyang, with 55 meter in length. 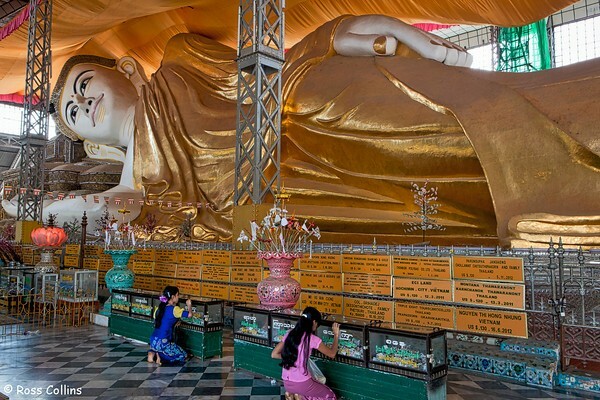 This is a very giant statue with the gentle face of the relaxing reclining Buddha. Dusk is the most peaceful time of the day at Yangon capital. Tourists can have dinners while enjoying arts and culture performance at floating royal restaurant - Karawiek, which look very alike a floating boat. 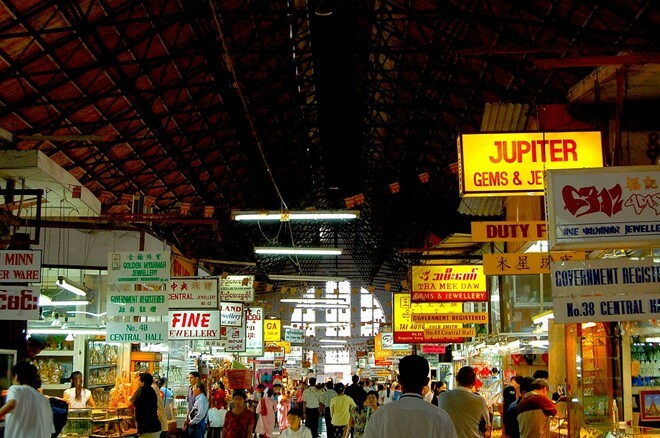 The next destination is Bogyoke market or also called as Scott market, being very famous with selling seafood, clothes, souvenir and jewelries.